It's the Summer of the Sims and at the EA Summer Showcase, there were disc (Frisbee) catching dogs on hand to excite the crowd about Sims 3 Pets. Just like the title implies, this expansion adds pets to the core game that people have been clamoring for a while about. In this expansion, you will get to play with a bunch of furry creatures and probably be able to build a room with no escape around them to watch them die. 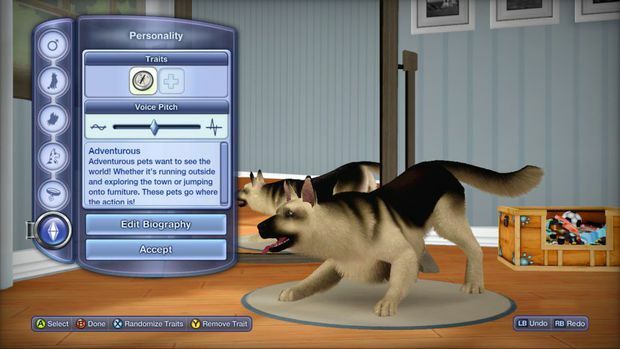 You'll be able to choose from a cat, dog, and something exclusive on the PC version: horses. The PC version was not playable at the event but the creature creator was available to toy around with. In the creator, I was able to pick a breed of horse and then tweak how I wanted it to behave, whether it was mean spirited or just plain goofy. You are also able to design the coloring of the animal. One dude next to me made his horse coat resemble a bowl of fruity pebbles. My horse was just black with blood around its mouth because every pet I have ever owned has gained a taste for raw meat. Customization is as can be expected with all the sliders, color palettes, and attitudes that you you would enjoy imposing on your ferocious yet cuddly beast. Many people will create their favorite pet that might have passed away in the hopes of bringing it back to life virtually. Of course, saying it like that makes it sound like some Pet Semetery kind of thing. 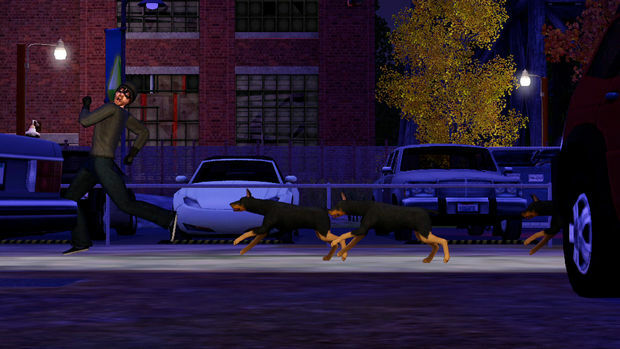 That being said, you can make all sorts of demon dogs and cats and have them running around your little sim village bringing joy and turmoil to all of the citizens in your world. Another big difference between the PC version and the console version is that on PC, you will also have exotic pets like parrots and other birds. For the consoles, they will be part of a special edition that can be seen here. But its more than certain that the other pets could be download content in the future. One big difference that can make the console version more appealing is the inclusion of Kinect with the 360 version that was shown off. With Kinect, you are able to give it voice commands to help navigate the menus that can be somewhat overwhelming at times. 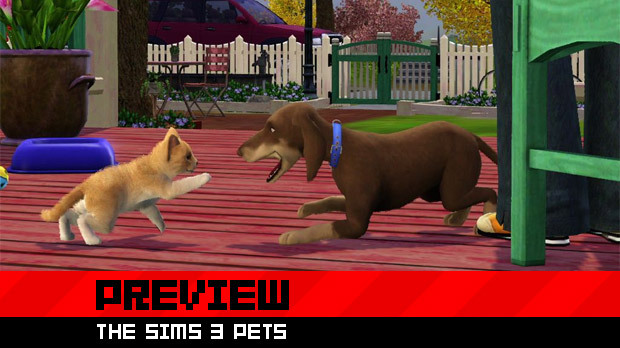 In the demonstration, the presenter was able to have the pet play with the other sims and then, by using voice commands, have the dog cause chaos on a nearby chair. Voice commands can be a great adaptation to this game and let's just hope that it adds to the overall experience instead of subtracting from it. At the tail end of this..ahem. They are trying to do some new things to this franchise which we don't usually see from other developers. Lets just hope that it will lead to good times with puppies or kitties or mean horses with a blood lust.